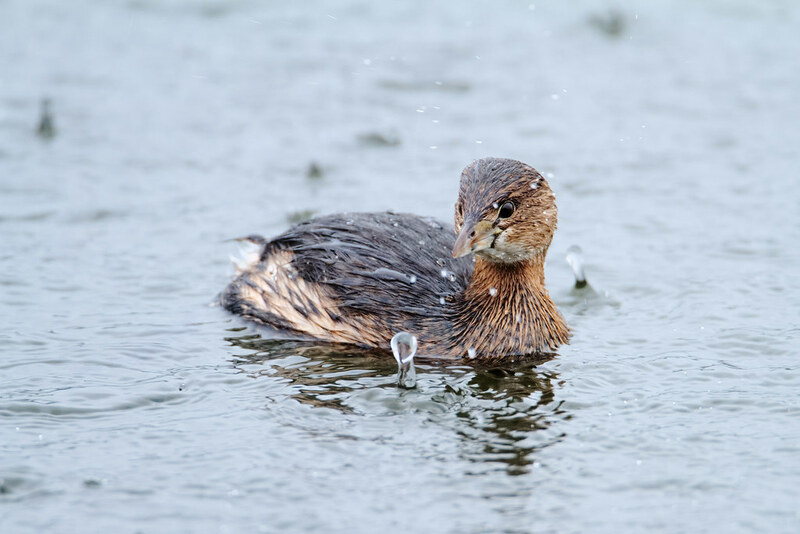 I was photographing this pied-billed grebe when such large raindrops began to fall that it looked like depth charges were exploding around it. Sam looks down from atop the landing at the top of the stairs. Many of the tasks on my big list involved finishing up the remodeling of my office that started about a year ago, including getting a better photo processing solution. I’ve been getting further and further behind in editing my pictures, which decreases my desire to go out and take new ones. 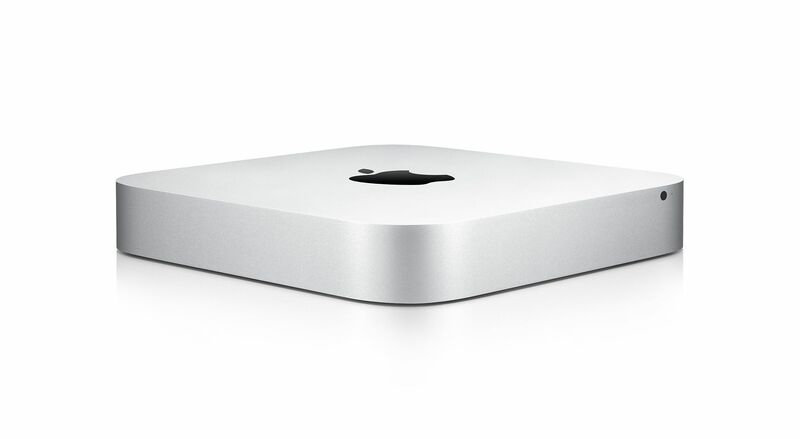 I had four options and gave them each a lot of consideration but in the end settled on Apple’s adorable Mac mini. I’ve had a soft spot for them ever since the first model was introduced but never had a use for one until now. Aperture runs much better on the mini than my laptop, which was a bit of a shock as the mini is made out of similar laptop parts. There are several big differences, the first the amount of RAM (the mini has 16 GB, twice that of the laptop). The second is the storage, the mini has Apple’s new Fusion drive that seamlessly combines an SSD and hard drive, the laptop a traditional hard drive. Regardless of the reason, I love the results. I took advantage of the new USB 3.0 ports to get a faster card reader from Lexar, it downloaded my images so quickly that at first I thought something had gone wrong. My biggest criticism is I wish it was slightly larger so it could house the bigger 3 TB Fusion drive that the iMac gets, letting me eliminate the hassle and clutter of my external drives. All-in-all though the mini has been a delight, greatly exceeding my expectations. My glorious vacation is at an end. I used a combination of vacation and holidays to take a week off at Thanksgiving, go back to work for two weeks, then take four weeks off in December and early January. It has been fantastic, a mix of goofing off and getting things done. I had a lot I wanted to get done so early on I made a huge list of tasks on a letter-sized piece of paper, both sides, multiple columns, and started crossing things off as I got them accomplished. There were too many things to do even during such a long vacation but I did make good progress. Two high priorities are shown here. 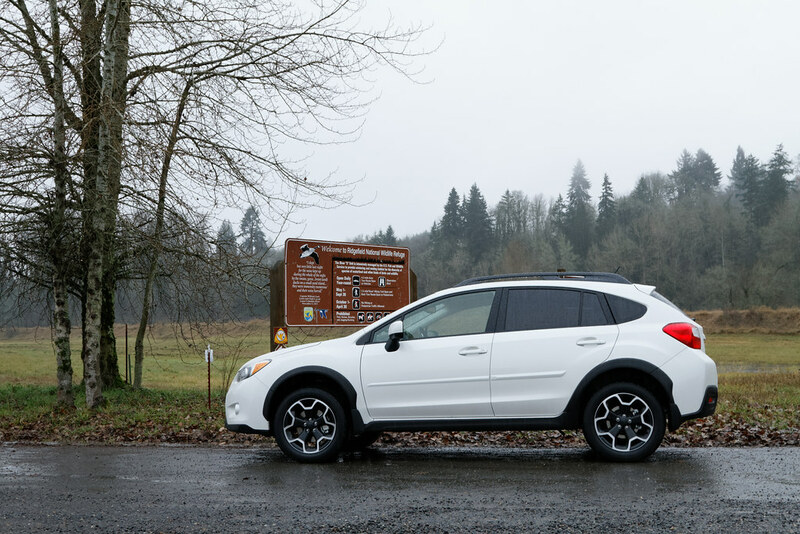 The first was the Crosstrek, I knew it would be hard to find but wanted its all-wheel drive capability as soon as possible since we were into the rainy season, a decision I was already thankful for on my first drive out to Ridgefield as it poured rain. The second was to replace our garage door which had split in half, it looked fine from the outside but was so fragile we couldn’t even risk opening it. The new door has been installed and works better than the old to boot. The wood framing needs to be painted but that will have to wait for warmer and drier weather. While I love small cars in general, you can also see why the little Crosstrek held such an appeal for us. Ours is an old house, the garage built into the basement level. 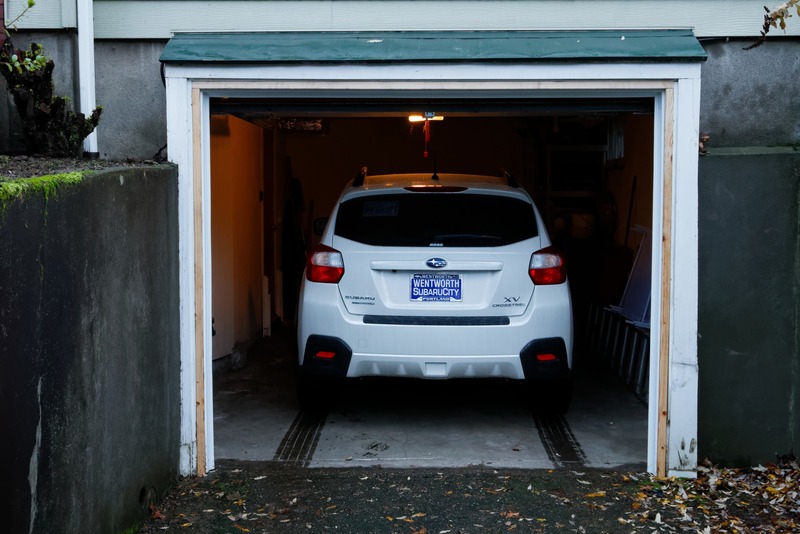 The driveway is narrow and between two retaining walls, while the garage is small in all dimensions. The other car has to be parked on the street, where a small car is also convenient, so I had little doubt that at least one of us would find the Crosstrek a good fit. Now the question is: will we end up with two? I’m in the midst of a long vacation so I (thankfully) haven’t had the chance to test our new Crosstrek on the work commute, but Christmas was lining up to be my first chance to test it at Ridgefield. It’s become a bit of a tradition for me to go to Ridgefield first thing on Christmas morning as sometimes I practically have the refuge to myself, a nice time for quiet contemplation during a hectic time of the year. Late on Christmas Eve after my wife had gone to bed I went out into the garage and just looked at the car for a while. I was nervous, for the next day would prove whether my high hopes for this car would pan out at the refuge. I sat in it for a while and read the owner’s manual enough until I figured out how to quiet the beeps when you lock the car. My nerves settled, I headed up to bed and set my alarm to wake me before sunrise. I love photographing in the rain and Christmas delivered the wet in abundance as I drove in the dark to the refuge, giving me a quick feel for how the little Subaru would handle the heavy rain compared to its bigger sibling (thankfully, it handled the soaked streets and big puddles quite well, I was thankful not to be in the Civic). I was relieved to see the car did well along the auto tour too (the icing on the cake would have been if it had been a hybrid so I could drive more quietly around the refuge, but it was not to be). At this time of year you can’t get out of the car except in the parking lots, so I took a quick picture beside the sign in the entrance lot. I’m definitely still in the honeymoon phase but so far I’m just loving this little car. I’ve been back to the refuge and it’s gravel road a few times since Christmas, each time in the rain, and it’s starting to feel less and less like someone else’s car and more and more like mine. But she’s not quite as white as she used to be.